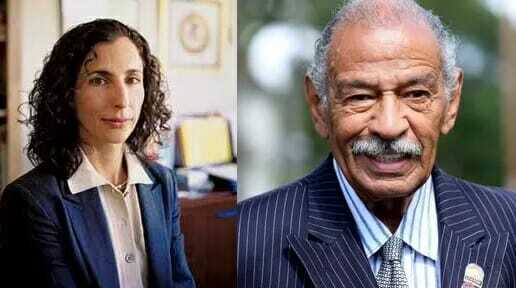 DC attorney Melanie Sloan accused creepy Democrat John Conyers of meeting her in his underwear in his office… on Capitol Hill. On Monday Sloan told reporters Conyers once took her out of a hearing and screamed at her in the hallway for not wearing stockings… In Washington DC… on a hot summer day. Pelosi spoke with Melanie Sloan today and said she thought the accusations against Conyers were disturbing.